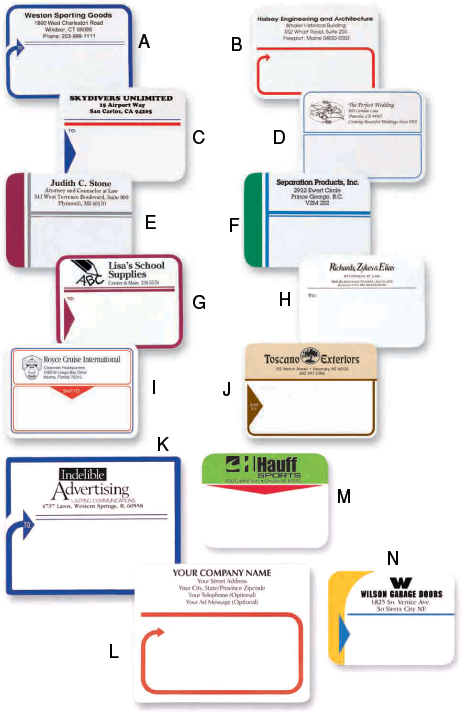 Custom Mailing Labels or Pre-designed custom shipping labels will add a professional distinct look to your company. 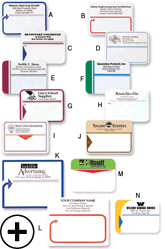 These labels ship in 24 hours and include your company's name, address, and logo! 1. Pick a style. . . There are 8 standard-size designs and two jumbo designs. Add your logo. 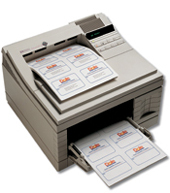 . . We will add your logo or artwork to only be printed in black ink. 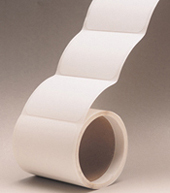 All shipping labels (Except laser sheets) are perforated between labels. The number of labels per package will vary depending on the size of the order. Single % screen available at no additional charge. 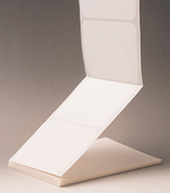 * White EDP Smudge Proof label Stock. 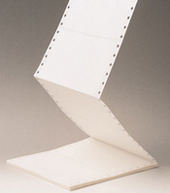 * Fan-Folded with pin-feed holes. * Correct-ability may be limited on some typewriters. are not exact duplicates of a PMS color. You can download an Adobe acrobat PDF PMS color chart but please be aware that your computer monitor / screen will not be an exact representation. Please refer to the pdf catalog to your right for the most up to date pricing and sizes for pre-designed custom shipping labels.